Are Apples Go For You? We all watched and waited with open breath as Steve Jobs unveiled the latest iP – the iPad. So we started with the iPod, iTouch, iPhone now we have an iPad. We were asked by a good friend if we were getting one and found ourselves say yes with our mouth, but no with our head. Days later we probably say no on both counts. The truth is that we don’t like ‘Appleworld’ where we have to buy the tin from the shop and then go back to the shop to buy the goods and are not allowed to use anything that the shopkeeper doesn’t like or want to sell. It’s like being locked into one supermarket for all your food. So we have 100,000 apps, 3 billion downloads, devices selling like hot cakes and a new release program which is obviously built to demand upgrades and replacement by holding back on the obvious. Our personal gripe is the attitude to competitors and widely adopted software such as Flash and the clear lack of devices that would help interoperability. Apple history is littered with its ‘control freak’ approach to the market and they are unlikely to change their spots. Having inventing the iTouch, which looked just like a iPhone but was too small, they have now introduced the iPad (ironically conforming to the iP brand family). Unfortunately, when we look hard is just a bigger iTouch. The iPad clearly heralds the end of the iEnk era of ‘lookie likie’ ebook readers which were becoming both boring and tiresome. Who wants to watch black and white TV in today’s colour world? Who wants a single program device when you can have a multi media and internet device. Apple has clearly moved the tablet goalposts but is it enough? Will students adopt a closed market? Will apps be enough to make the difference? Will all the other Computer manufacturers just give up and go away and leave the market to Apple? Will the netbook have a more open appeal? Will Android offer a more open option? Remember Sony had the walkman but today…? Last week was a big week for books with everyone expressing their support, or their concerns for Apple’s industry game play on their iPad. Publishing is renowned for its ability to play ‘follow the leader’ and until the dust settles it is often difficult to separate the real news from the noise. We also witnessed the final closure of objections to the Google Book Settlement with some staking their claims for a seat at the table, whilst others continued to point out the hypocrisy of a deal that sanctions breaking copyright whilst arguing for the support of the very same laws. Authors are clearly pawns in the game and amazingly still have not been balloted by the very bodies vocally supporting the deal. We now have a major house, Macmillan, squaring up to Amazon over pricing. They clearly find the $9.99 price unacceptable and have demanded a change of terms to one they find acceptable or said that they would change their digital release windows. Amazon in response has clearly refused to be dictated to and have appeared to have delisted all Macmillan direct sales. It is almost impossible to introduce price maintenance unless you effectively own the market and no one does in publishing. Pricing is an emotive issue and digital pricing one which clearly is now becoming a battlefield. John Sargent’s open letter in Publish Lunch displays either calm and calculated nerves or a speedy and questionable reaction. Who is right and who is wrong is immaterial. What is important is the message that this public spat sends out to the two people that matter, the author and the consumer. There is only winner in a price war is the consumer and the player with the deepest pockets. You can call it whatever model you like, the issue about digital pricing is not going away, the more it is raised the harder it will be to manage. If all publishers were to follow Macmillan and all publishers where locked out by Amazon life would become interesting. However, the publishing marketplace’s diversity is it greatest strength and how long can publishers turn their back on the biggest physical channel and the digital leading channel today? Remember the public cries of foul play when CDs first came out? Some would suggest that the case for cheap ebooks is even greater and the current public fight is a clear wake up call to all. The one thing that is clear is that the US marketplace is setting many digital precedents in our global market. We are starting to see a landscape where the control of digital books is in the hands of Google, Apple, Adobe and Amazon. An interesting quartet of book lovers. Their platforms and technology are dictating the future and what deals are in place today may not be the deals in play tomorrow. Playing with Gorillas can be dangerous. Sit back and allow your mind to take this in. It makes you think differently and points to a future that is different to the view we may have today. Music on Demand = Book on Demand? As we sit and listen to Spotify, free over our Android phone we now read that HP has joined forces with Omnifone, a cloud-based unlimited music services, to launch a European music store. MusicStation will be available to HP PC customers in the UK, France, Germany, Italy, Spain, Austria, Belgium, The Netherlands, Sweden and Switzerland and will give them unlimited access to millions of tracks for a monthly fee. New users will be given a 14-day free trial period in which they can download and keep up to 10 DRM-free tracks per month onto their computer, for later playback, copying etc., or can access 6.5 million tracks streamed from the cloud. The monthly subscription is similar to that offered by Spotify. So would you buy a PC because of it, or would you be prepared to spend the subscription to access it? HP is a gorilla in the PC market shipping 48 million units a year and having 20% global market share, but is the move strategic and about music and media, or merely about shifting tin? The major issue is one of ‘subscription and access’ to music versus ‘pay for and own’. Music, unlike most media, is often a short time experience which can be in the background and the individual tracks are often repeated far more than any other media. ‘Music on demand’ makes a lot of sense, and irrespective of whether its Spotify’s advertising plus subscription model, or HP’s subsidy plus subscription model, it has to be paid for. What is clear, is that the days of seeing shelves of vinyl or CDs are numbered and if its on a hard drive and accessible on demand, does it really carry the same ownership hang-ups? The book market should not assume that books are different. As we move digitally ownership and access on demand offer equally interesting options. Music has gone through the hedge backwards over the last decade, It has seen a powershift from the music companies back to the artist and the control of concerts and merchandise. It has gone digital and moved from the album to the track and from the high street to online. It has gone from DRM to DRM free and from ‘locked formats’ to MP3. The shifts are significant and show how an industry can be blindsided not from within but from outside. We now read that a new file format, MusicDNA, has been created by Norwegian developer Dagfinn Bach who worked on the first MP3 player in 1993 and whose backers include German researcher Karlheinz Brandenburg, who is credited with inventing the MP3. MusicDNA is like having a ‘active’ or ‘live’ MP3 file in that it is fully compatable with MP3 but contains extensions such as lyrics, videos, artwork, twitter feeds, tour dates and blog posts, which will be constantly updated. Also MusicDNA tracks can be semantically classified using tags such as genre, mood, aggressiveness, key and tempo, to link them to similar tracks and other artists, The files can be dynamically updated whenever a player is connected to the internet and the labels will have the option of providing user-customisable content. You can view it as a competitor to the likes of Apple’s iTunes store who automatically supply such extensions today. MusicDNA is launching a beta, or test, version this spring with a full roll-out at the end of the summer. This new music ‘trojan horse’ offers a logic insight as to how all metadata and bibliographic information can be communicated and made available to the consumer. Today’s bookworld is inconsistent and developed many around the business to business model of communication. Today we are at the exciting start of eMarketing and adopting a similar concept would make a lot of sense and save significant wastage. More importantly is used wisely it could revolutionise how we communicate and make those extras available to all. Certainly something for the industry standards’ bodies to consider. Are authors revolting? Some would leap to the barricades before we have had to time to explain that the question is not aimed at a general view of authors, but at their reported press coverage of late. Booker prize winner, Ian McEwan has signed a deal with Rosetta Books. The objective is aimed at exploiting his back list within the ebook market through an ‘exclusive’ with Amazon. It follows on the heels of a similar deal by Stephen Covey and could be followed by others who now seek a bigger royalty slice of the publishing cake. The Society of Authors in the UK has raised the issue of digital royalties and is clearly placing their stake in the ground quiet a distance from where many publishers have pitched theirs. We then have the case of Ursula Le Guin who is gathering support in her quest to awaken her peers to the dangers of the Google Settlement and what is perceived as a case of bad representation by the Authors Guild. We are reminded of a conference in the 90s where a speaker was looking at Internet marketing and promotion from the authors perspective. He used a leading writer as an example of good self representation and contrasted this with the limited representation by the publisher. The twist was in asking the audience where the buy now button went on the author’s site – Amazon. The added twist was that the publisher’s site also went there too and this was before Amazon was the force it is today! Around the same time we tried to promote AuthorCare solutions aimed at opening up the publisher’s back office to their authors and making sales and royalties more transparent. The market response was very much that it was not needed and it was already open and transparent. The two people that the greatest value are the author and the consumer. Digitization has already impacted the relationships in the music industry between artists and producers and is also impacting other creative media sectors. If authors are asking for more, or a better representation then surely we should think twice before adopting Mr. Bumble’s response. The New York Times asks the question ‘How do you make your book a best seller on the Kindle?’ Their answer: Give copies away. The article poses the question as to what is meant by “best-selling” e-books on the Kindle. After all ‘best selling’ by what says means that something has been ‘sold’ not given away. So we have the public domain give-aways, the aspiring authors promotions and then the publisher’s own limited window free promotions. Why are these counted alongside the paid for books? If the charts were only ‘paid for’ would we see ebooks for sale for a cent? So do publishers want tiered pricing and to re-establish the hardback as the premium rendition? Do they want to delay ebook releases in order to protect revenues and re-establish the hardback as the premium rendition? Do they want to give away ebooks to promote them and again protect revenues and re-establish the hardback as the premium rendition? There are also cases where giveaways are not of the latest title but of older titles by an author, with the purpose not of promoting the back list sales but to get readers to buy the new title at the expense of the back list. Some would suggest that it’s a case of every way but loose. Others would suggest that it’s about who controls pricing. What is clear is that there is no harmony between publisher houses and it may be a case of every way but win. We can learn from other sectors. Once you let the free out the bag, getting it back in is hard, if not impossible. So what is the price that publishers feel a ebook is worth? It is clear that the ball today is with the publishers but if they can’t decide, others will. There are many issues in the Amazon announcement that, starting in June, it will offer 70% royalties on book sales after delivery costs, which are claimed to be less than 6 cents per book. Obviously authors may settle for a lot less from a publisher and hope that they generate significantly more sales and exposure and doing so more gross revenues. So is the game plan to secure more rights, content, authors or to align itself better for the looming Apple wars? It’s unclear what the changes mean to larger clients such as newspapers, magazines, or large publishers, who use a different system to publish to the Kindle. We also remember that Amazon were one of the first music resellers to move to MP3 and DRM free music. However, the DTP move is likely to prove propular with small publishers and authors who may be less worried about the exposure to copying and more interested in increasing their exposure in the market. The Amazon is the world’s longest river and has such crosses much territory and many lives and is not unlike its namesake, the world’s biggest bookstore and ecommerce player. As with all huge concerns there are many changes and events taking place at all times and last week was certainly eventful for what Amazon did as this week may be eventful for what other competitors do. Next month, Amazon will be inviting software developers to build "active content" for the Kindle Store later this year. The Kindle development kit will enable developers access to programming interfaces and tools to design applications for the device. Announced are an international Zagat guide and the intent for mobile games publisher Sonic Boom to create word games and puzzles. The Kindle Development Kit (KDK) is set to go into limited beta in February 2010, and will include programming interfaces, tools and documentation together with a Kindle Simulator, capable of mimicking both the regular and DX models on PC, Mac and Linux systems. However Amazon has released some specifications and pricing details for KDK developers. The max file size is set at 100MB, (compared to the iPhone's 2GB ) , Files larger than 10MB will have to be transferred via USB, offensive content will be banned and VIOP is not permitted. Developers who provide content over 1MBare to be charge to pay for 3G data costs. Amazon can't possibly be under any illusion that today's Kindle has a limited life and is not able to compete compete with iPhones, Android devices, tablets or other general-purpose devices. The E Ink display is too limiting and would be like asking TV developers to go back to black and white, non touch screen programming. In addition the sales and therefore the market for ebook eink device apps is small compared to iPhones, iTouch, smartphones, Android and the rest. Even if Citigroup estimates that Amazon sold at least 2 million Kindles in 2009 and account for about 70% of all e-reader sales is correct it hardly passes the so what test. That's a small fraction of the number of iPhones and iPod Touches in circulation. If the objective is to enable publisher partners to break free of the ‘fixed content’ model and to start exploring interactive digital books then this poses other challenges as the platform is not functionally rich and again begs the question why bother? So in the week the world was Slated and Amazoned , we took the long overdue step of upgrading our mobile. We choose Android and HTC Hero and were pleasantly surprised how good it was and the apps that were available. The real reason was we got free full access Skype included and for us that is important for those international daily calls to India, Australia etc. We also got Spotify premium for 24 months for free which whatever way you look at it is a good deal. We didn’t find all the unusual apps we love on the iPhone but did find all the ones we would use such as Shazam, Scan2PDF, Last FM, etc and some we had missed such as beebplayer (online BBCTV and iplayer) and some great social connections into Twitter,and Linkedin etc. and the world of Google. Android is a serious competitor to the iPhone. Does a publisher always know what has been sold and how much they are owed? In the physical world it is a relatively easy to account for and although they may only know what they sold to the next person down the chain, that’s where they collect their money and have a relationship. The publisher sends a wholesaler, or retailer, 100 units and charge them for a 100 units. According to the sale terms, some units may be returned and, the net payment agreed. Does the same logic apply in the digital world? On the face of it should be a lot simpler and the unit should never leave the warehouse until it’s sold. All sales should be sold firm and you could even make a case for self billing invoicing and call it consignment stock! Today the vast majority of digital titles are deposited with digital aggregators. They may sell these as a ‘wholesaler’ through the channel or direct as resellers and irrespective each sale is to the consumer and the publisher updated by the aggregator via a consolidated sales report. There is nothing wrong with this practice and the element of trust is a given as these aggregators are regarded as trusted parties. Today many publishers can have 15 plus aggregators that they trade their digital files with and in most cases they deposit the files with them and merely see the reports on sales achieved. So what can be the digital sales issues? Firstly, sales’ reporting is neither to a standard format nor a standard schedule. Some report monthly, others quarterly and all have to be reconciled. We know that reconciliation today is not straight forward and wonder what the effort will be in a more mature market? We are aware that industry bodies are now working on reporting standards and working practice and there is a clear need for these once agreed to be adopted by all. Secondly, The digital sale is complete on the download, the reseller is paid and there is no inventory to reconcile. If the file and the transaction is ‘digital’, why not process the sale reporting ‘digitally’? Today DRM files that are downloaded are automatically license stamped in flight by the likes of Adobe, so why not record the sale the same way? Imagine the publisher knowing instantly what sold where at any moment, or an author being notified on digital royalties due instantly and transparently? Is it such a farfetched dream or does the interest earned on banking the cash get in its way? Thirdly, we believed that there were no digital ‘returns’. After all there is no unit to return and you can’t upload a file back to where it was downloaded from. There will always be sales errors but this should be a consumer/ reseller issue and the sales in reports and financial terms should be net. Why introduce effort and information that is outside to the commercial relationship. There is trust in sales so why not trust in refunds. Even if the file is faulty and a refund is demanded the retailer is not paying for the goods until sold and therefore there is not cost of sale to be recouped. We may be naïve, but telling a publisher that a download was returned merely creates waste. Finally, we wonder once again why digital royalties can’t be paid to authors on a more frequent basis, or even on sale. If the new aggregators such as Amazon, Apple and Google are clearly aiming to set simple commercial terms to publishers so shouldn’t this be reflected up the chain to authors? We know one publisher who pays physical sale Royalties on a quarterly basis yet only pays digital sale Royalties annually. As an industry we need to think just as much as the back end process as the front end and ensure the dots are joined. 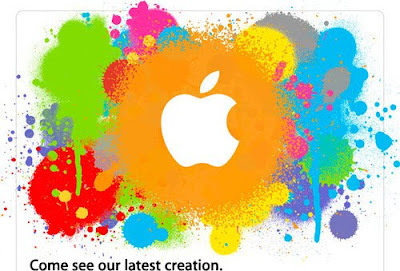 Today we read that many of the leading publishers are cutting deals their with Apple and while we all deliberate on this, the potential iTunes store for all digital stuff, Apple Slates and Tablets and the 27th of the month, the mobile world continues to spin. The Android versus Apple battle continues with LG Electronics launching its LG InTouch Max GW620, their first Android smartphone with both a 5-line QWERTY and touchscreen keyboard. The LG InTouch Max also has a 5-megapixel camera, a 3-inch touchscreen and a 1500mAh batteryand is available on T-Mobile for free on a two year contract with unlimited data for as little as £20 a month or from Virgin Media on an 18 month contract for £22 a month. The Nexus One is less than a month old and can still only be bought in the US, but already Motorola is playing catch up with its Shadow; a new high end mobile phone that looks like a small tablet with a slide out keyboard. The device will come with an HDMI port, an 8 mega pixel snapper with 1080p video recording, a 4.3 inch screen with a resolution of 854 x 480 pixels and of course Android OS. Now we have Amazon selling its Amazon MP3 store on Android, which offers tunes for download direct to your Nexus One phone at UK prices. The app requests a Amazon.com user account, but conveniently allows a Amazon.co.uk account in the UK. The Amazon MP3 store will not only the Nexus One and Android compete with the iPhone , it also has the ability to sync songs with more than one computer. Finally Steve Wozniak, co-founder of Apple, says Google's Nexus One mobile phone is his favourite gadget, but he does owns two iPhones as well! 'The TV Book Club' was broadcast last night on UK Channel 4 and if you missed it you cand see it by clicking here. We found ourselves drawn into the usual sofa debate format, which may work for some, but clearly lacks the visual and TV factor. In fact if it wasn’t for Chris Evans ability to communicate, the show would have sadly been a total no event. When will the trade realise that it doesn’t have to crowd as many ‘celebrities onto couches to sell books? In fact there were so many that we hope they weren’t being paid by the word. The big question is whether the purpose of a TV show such as this is to sell specific titles in what some will see as a form of payola, or to promote reading and interest in books, authors and the world they unlock. So what is the right format for TV book promotion? Jools Holland lets the music play for itself and mixes tastes in such a way that there is usually something for everyone and something new as well. Jonathan Ross stamps his personality, knowledge and views on the films as did Barry Norman before him. This couch potato of a Book Club merely filled a slot and lacked passion and conviction. It felt like asking a group of sixth form English students to discuss their course reads. In the sixties UK TV had ‘Juke Box Jury’ with David Jacobs introducing singles to celebrities who after the short exposure would vote the records either a hit or a miss. The other UK channel had ‘Thank your Lucky Stars’ Pete Murray and Janice Nicholls, a show where the singles were given marks out of five and Janice found fame by her catchphrase ‘Oi'll Give It Foive' . We then had a change and shows such as Ready Steady Go , then The Old Grey Whistle Test and now Jools, all of which engaged viewers into new music and not the charts and in doing so they have changed how music is presented. We sadly appear to still be stuck in those cringe-worthy chart obsessed day of earlier music TV, searching for the right book format and how to engage new readers. Where Did All The Music Retail Go? We often are asked why we think that bookstores can survive better than their counterparts in music? We have said that many will not adapt and cling to the sale or return me to model and perish. However we strongly believe that the booksellers who adapt, specialise, grow their customer knowledge and community pull can survive. Bookstores today need to be open to selling books, new, old, used, and remaindered, alongside other book related goods. If you think this is bad advice we suggest you watch this Sky News video. Can you imagine sitting on a train unrolling or unfolding your flexible screen and having instant access to whatever newspaper you want and merely rolling it up at the end of the journey? The technology predictions of many in the past may have now landed today and may make it onto the market in a few years. 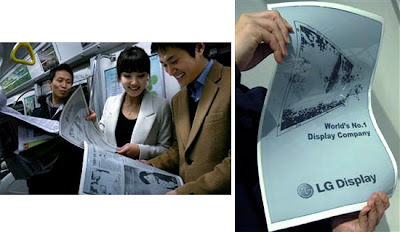 LG, the Korean electronics giant has been showing off news of its 19” wide display, which is only 0.01” thick s, it's slightly thicker than a piece of paper (about 0.06mm), and weighs in at 4.5 ounces. LG say that the large screen is a prototype and the actual mass produced screen will be 11.5” by the middle of the year. So we potentially have flexibility in the shape of Skiff, LG and the likes of Sony’s full colour flexible OLED displays. However the screen is only part of the equation and we still need all the ancillary electronics, the power, transistors and circuitry. We still believe that OLED offers more than eInk and with other technology platforms moving towards OLED, eink looks a one trick pony. Upload and Wait = Digital Piracy? Today’s trade press is littered once more with assumptions about the state of book piracy and its impact on revenues and the market. This is an emotive subject which has many issues, much sensitivity and is often divorced of real facts. Attributor, who monitor the access to illegally posted content through their FairShare Guardian service, have released a report based on their tracking of 913 books in 14 subjects in the final quarter of 2009. It estimates from this that over 9 million copies of books were illegally downloaded from the 25 sites it tracked. So they extrapolate, estimate and come up with figures which make many bestsellers and are somewhat questionable! Four sites that made digital download data available--4shared.com, scribd.com, wattpad.com, and docstoc.com and Attributor found 3 million illegal downloads in the final quarter of 2009 of the 913 books followed. They then claim that based on 53,000 book takedown notices sent out to various Web sites in the second half of 2009, that these sites represent about 30% of all book piracy. We found ourselves questioning what an ‘illegal download’ was and if Attributor can identify one, why can’t Scribd, Wattpad, 4shared and docstoc? They claim to have found illegal copies of “Freakonomics,” by Steven D. Levitt and Stephen J. Dubner, that were downloaded 1,082 times and “Angels & Demons,” by Dan Brown, 7,951 times. This would hardly adds up to 3 million. Irrespective of the numbers, these sites continue to hide behind the skirt of the US ‘safe harbor’ protection and are merely continuing to react on take down notices? We have written extensively about the Scribd service and its ‘post first and wait’ approach to copyright, claiming they nothing but offer a service and the onus is on the owner to prove ownership and issue a takedown notice. Some would suggest this sounds similar to some sharing services of the past. Attributor claim 53,000 in 6 months last year! So something is clearly no working and all is defiantly not well in the state of sharedbookworld.com. We think someone is kidding someone here and what is still required is proactive protection, accountability and responsibility. Finally, we would also suggest that it isn’t the publisher we should be concerned about but the author and their lost royalties that they have entrusted with the publishers. A new California law, Senate Bill 48, says any individual or company selling textbooks to the University of California, California State University or private colleges must make them available electronically by 2020. So California and Governor Arnie are talking colleges, universities as well as schools. The question now is whether others will follow and pass digital deadlines in law? The date is interesting as by 2020 the digital world will be considerably different than what we see today. Is Digital Collaboration In Publishing Feasible? We have long argued that those best suited to leverage and promote the digital opportunities, are those with the most interest in the physical ones.Others will argue that in a free market economy such a collaboration is restrictive and freedom of choice and the power of the dollar should dictate. Whichever side of the fence you sit one has to admire the collaborative realism that many countries as diverse as Germany, Australia and France are staring to grapple with. Publishing is by its very nature a diverse marketplace with thousands of publishers and thousands of resellers everywhere you look. Without effective collaboration they are sitting ducks, just waiting to be picked off by those digital omnivores with the deepest pockets. Importantly these often have different agendas, models and drivers. For example what do Sony, Google, Apple have to do with books? Yesterday five of France's biggest book sellers declared their unity and requested that French publishing houses and their government supported them to create a collaborative digital retail structure to support, encourage and nurture the French market. Is the idea of collaboration on a common technology platform madness? We would say no and that it is after all what we wrote about three years ago our 'Brave New World' report. Would it dilute or overly restrict individual publishers and resellers from competing on titles, offer and service – no, its just a common marketplace. Some would suggest that its like Google Editions or Amazon Marketplace but without Google and Amazon. We would also suggest that it would offer collective responsibility and ownership which may be bad news for some but welcome news for many. Just think about the cost saving in developing a single platform as opposed to hundreds of individual ones. Remember that any cost incurred within the supply chain is a cost to all within it and finding common areas to minimise waste is key to basic supply chain management. "If we don't manage to do this, what's going to happen? We will find ourselves in front of a platform, or hub, already made by a private company ... whether Amazon, Google or Apple," said Guillaume Decitre, head of bookseller Decitre. Having done what many would say is impossible and get the resellers to agree, the trick now is to convert the publishers who don’t always see the same threats and naturally want to maximise their channels, not minimise them. Here they face a stiff challenge, which already has drawn a negative reaction from Francis Lang, Sale Director of Hachette Livre, ‘Creating a governance structure where everyone is around the table but their interests are opposed is the best way for this not to go anywhere.’ It should be remembered that Publishers like Hachette Livre have also often invested and built their own platforms. The other aspect of the proposal announced yesterday was a call for the French fixed book price law to be extended to digital books and for VAT to be cut from 19.6% to align it to that of physical books at 5.5%. These aspects of the proposal are understandable but start to muddy the waters and should be viewed separately. Nicolas Sarkozy has also already called for the extension of the country’s 1981 fixed print book price law to cover digital books and for the EU countries to cut VAT on all cultural products. If we step back and look at what the Netherlands did years ago in creating Centraal Boekhuis, one sees that collaboration can be very healthy for both resellers and publishers. In addition we start to see cultural divergence as healthy and reflective of the global world in which we live. Digitisation isn’t about building global databases and owning the largest repository that sort of thinking disappears in the clouds. It is about enabling all to participate within a common eco system. In an interesting and somewhat surprising move Google’s Chinese relations have worsened, to the state that they have decided to take on the Chinese government or shut down their Chinese operation! Some may say its posturing, others that they are standing firm on civil liberties, others may just wonder at a 10 year old taking on the world. Googleworld certainly is a new phenomena that clearly breaks with normal political diplomacy and demonstrates the power of the new global commercial organisation. Whether the claims made are rightly aimed at the Chinese government and what actually took place for what reason, is unclear and probably will remain so. The challenge for Google is two fold, in first having to increasingly deal at the political level in several states on various issues and secondly spreading their cloud, search, admobile, phones and software across the globe, whilst winning the hearts of those who are starting to see the potential evil empire that Google didn’t want to be associated with. China is an interesting case, where in one breath, Google admit infringing rights albeit copyright and in another, they uphold them and claim the moral high ground within the same country. So when is it right to apologise to one group of people but not apologise to another when you have done exactly the same thing to both? The question is simple but some would suggest that the answer is far from simple in Googleworld. Some would say that Google are acting with double standards when they issue a public apology to Chinese writers and also admit that it scanned books under Chinese copyright for its Google Books digital library project but do little elsewhere. Far from admitting any guilt or offering an apology Google in the West fought hard to defend themselves. AFP . Perhaps they believe that China is different, no doubt they will say it’s a special case, that their laws are different, but was it the law, political pressure or the simple dollar that bought them to their knees and forced them to issue an apology as reported by AFP. Some would look at the bigger picture with Googleworld trying to penetrate the Chinese market on many fronts. The Chinese certainly have mystic powers over Google and Hartmann also appeared on their state television and acknowledged the practice of scanning books had angered Chinese writers. The China Written Works Copyright Society is reportedly now in talks with Google to resolve issues and agree terms for compensation. Google has undertaken not to scan no more books without authorisation from Chinese writers and wishes to resolve the dispute by March. So why didn’t it stop its scanning elsewhere? So why didn’t Google apologise to the, US, UK, European authors and publishers? Perhaps its easier here to go into a closed room and cut a deal, then revisit it when its found wanting, then rope in the soft siblings such as the UK, Canada, Australia and leave out those such as France, Germany and others who may prove more united. Some would suggest that the reality is probably somewhere hidden in the murky deal rooms with those who were not strong enough to negotiate and stand up to Google and merely make gestures and capitulated. Meanwhile it appears that more US authors are standing up and behind the recent lead of Ursula K Le Guin who accused the Authors Guild of a "deal with the devil" and resigned her membership. The Presidents of the Science Fiction and Fantasy Writers of America, the National Writers Union and the American Society of Journalists and Authors all yesterday issued a joint letter to more than 60 authors in Congress urging them to protest against the Google books settlement. It should shame us that China is showing the Western world and in particular the US how to deal with basic rights. eInk Today But Gone Tomorrow? 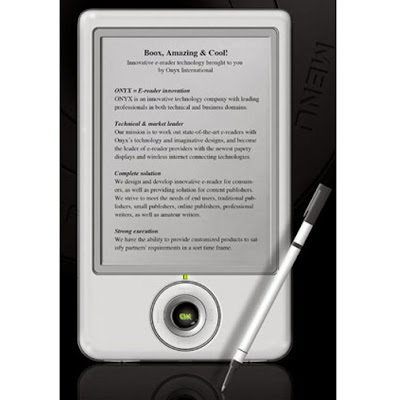 It now appears that anyone electronics firm standing has created their own ebook reader. Everywhere you turn you find a new one and as we have said many times, differentiating between them is very difficult and even keeping tabs on them is now getting ridiculous. So is this a good thing or a bad one? Does it herald the dawn of ebooks or merely the commodity of technology? As a consumer why would you buy one model and not buy another? Is the device changing the market demand for ebooks or merely flooding the market with readers? Will prices now drop dramatically as competition is forced to slug it out for consumers and the basic technology reaches an economic scale which itself drops the price of the raw material – eInk. We were asked on Litopia After Dark last Friday what we thought of POD technology and if predicted by some this New Year, POD was finally going to become ubiquitous? Our answer was that a few years ago it offered much and certainly looked the technology to watch, but today it appears to have missed the plot and be past its sell by date. What happened was that publishers merely used the technology to shorten their print run and reduce their risk. Some such as Ingram used it to build a digital repository. Self publishing used it to create low risk publishing. There are many winners such as Cambridge University Press. We failed to shift the paradigm from ‘print then distribute’ to ‘distribute and print’. We merely replaced the press with another more economic one. The channel didn’t change and the economics remained too high to effect change. You can count the number of retailers who installed them on one hand. The likes of public domain, out of print, self publishing who saw POD as their answer to the market may now have a far better solution in full digital. The espresso just went cold and not many people like cold coffee. So what will happen now with the eInk devices that litter the electronic world? We hope that the price will drop, not by a few dollars but dramatically and similar to what happened with MP3 player. We hope that all adopt a common standard approach so become interoperable and commodity and stop trying to be something they aren’t. There will be those that believe in their own divine right and push the technology envelope, but the reality is that if they don’t offer something significantly different, the consumer will opt on price and availability. The ones with the most to loose are the likes of Sony, as first to the race can be as much a disadvantage as perceived advantage. The greatest challenges facing the ‘lookie likies’ is convergence. It hasn’t changed and they now face major wars on the smartphone and emerging tablet front. Some have recognized this an created hybrid 50/ 50 devices with two screens, but the reality is that this costs twice as much in technology and materials and shows the limitations of eInk today. Its like admitting that the technology isn’t up to meeting the consumer needs, but kidding them that two is better than one. By the time eInk goes colour, superior technology such as OLED will have dropped in cost, sorted battery life and become a viable and far more practical offer. The final challenge is still content and the only thing today that separates one ‘lookie likie’ from another is access to content. Some have started to get exclusive deals to content – ‘we will digitise it but we own it’. Restrictive deals only frustrates consumers, encourage piracy and in a market such as books are dumb. As this becomes access to content increases, then these devices just become even more commoditized. The question is then how big is this segment of the digital market? Will it be overtaken by the online and streaming market? Will devices be less important and access a broader media offer of video, games, music, papers, books, magazines, TV and radio be a greater pull. Would we as a consumer buy a friend a ebook eInk reader today – we doubt it. So what else has emerged from the Consumer Electronics Show in Vegas this week? Sony introduced not one but four new Vaio notebooks with the ‘w’ series catching our eye with its green-tinted plastic case being made of 23% recycled CDs and the carrying case is made of recycled plastic bottles. Why not call it the ‘r’ series for recycled? Plastic Logic finally launched its Que e-reader and may prove to be an oxymoron. This has had a longer gesticulation period than an elephant! Will it succeed in what is now a very crowed market of ‘lookie likies’ and even with all its initial super hype is it a case of being always a bridesmaid. Since it offered so much the world has moved on and one would seriously have to question why this when we have tablets, duo screen devices and so much more better value all around us. Dell's Adamo XPS being only 9.9mm thick is now being billed as the world's thinnest laptop and is even thinner than many mobiles! It also opens to sits up, with the keyboard ergonomically tilted to offer a better typing angle. Its 13.4” LED widescreen offers 1366 x 768 pixels but the interesting design element is that motherboard and 128GB solid-state drive are behind the screen, not beneath the keyboard. We thick this could be thinking itself a future tablet but being this thin and only 1.44kg, it may not be the lightest around but it offers much to think about. However it suffers one major drawback in that it will cost you £1,750. Notion Ink’s Android “smartpad” which claims to support full HD video playback, WiFi, Bluetooth and use the Pixel Qi transflective 10” 1024 x 600 Pixel display a 3-megapixel autofocus camera with video 16GB or 32GB of SSD. Interesetingly it even has a water sensor! The screen can be viewed as a regular LCD, or outdoors in either transflective mode with reduced color vibrancy or at a flick in fully reflective 64-level grayscale mode. The battery life is claimed to be 48hrs standby, 8hrs of HD video playback and 16hrs of internet surfing over WiFi. Price is not know but expected to be around $300. The Copia reader joins the usual eInk suspects but offers not one but a group of readers joined together by a social networking and reader support. So the question is whether the network pulls is strong enough to tie the devices to the readers or is just a gimmick that is only as good as the network of users. Why create a social network around a platform this way it doesn’t make sense,perhaps they should have looked at the track record of BookRabbit, perhaps they just want to sell tin, but perhaps they don’t know what the want to be when the grow up. So how much is the Publishing Slushpile worth today? What would you pay for a pile of self published books which have not seen all those value added publisher inputs that Jonathan Galassi wrote about in the New York Times. Looking at the question from a different perspective what would to pay for a 7 year old company that offered all writers an on line shop window to self publish digitally? Lulu.com was founded to do just the above in 2002. They didn’t get embroiled in those value added steps Galassi says are publishing and others say are packaging. Lulu.com is now targeting about $50 million from a planned initial public offering and has hired Genuity Capital Markets and CIBC World Markets as the issue's leading underwriters. The trade publishers have failed to understand the new democratization of writing and have stuck to the old packaging model. There is adequate room for both but some would suggest that the scales in the digital world now need to be adjusted as Lulu. Wattpad and others such as Scribd aren’t going away and there are only so many mouths that can be fed. If we adapt some well know Bob Dylan lyrics to ‘Everybody Must Get Stoned’ and replace the word ‘stone’ with ‘tax’ we have some reality of how governments are viewing the new utility of broadband and Internet revenues. France is considering taxing Google and Yahoo on advertising revenue. The tax collected would supposedly go on ‘saving the creative industry’ from a ‘free-for-all’ internet culture. The ‘Google Tax’ is expected to raise between €10m and €20m a year. The inference now is that US-based operators have to reconcile how many French web users were being engaged by the advertising. The question of how the government will audit the tax due is questionable but id it were successful then other countries and maybe the EU are bound to follow. Not to be undone the UK government want to still tax UK businesses to ensure 90% of the UK is connected to super-fast broadband by 2017. They intend to levy a 50p-a-month tax on telephone lines under this ‘Next Generation Fund’ and ‘broadband tax’. It is claimed by the opposition that 4.8 million businesses in the UK will pay £1,500 a year as a result of the plan. It’s a new year and as always the Comsumer Electronics Show in Las Vegas is bombarding us with new ereaders, tablets, mobiles, TVs etc.Today we see the start of the beginning or the start of the end of some ebook devices. This year will certainly be the war between the dedicated ebook device we have long stated as a transitional device and the emergence of the tablet, online reading and the cloud. Steve Ballmer, CEO Microsoft announced an that Apple isn’t going to have the slate to themselves and that Microsoft are not only serious about tablet they want to be there first. They showed a yet to be released HP’s 10” touchscreen tablet running Windows 7. The claims made would appeal to all, with it being ‘almost as powerful as a PC’, ideal for web, reading and entertainment. Bing will be the default search engine while MSN will be set as the default home page. Ballmer showed 3 modes – movie, book (running Amazon’s Kindle software) and PC. Ballmer however did not reveal any details about the specifications, pricing or launch date, but said two other 'slate PCs' from Pegatron and Archos would run Microsoft software. The HP tablet is a basically a color e-reader runningAmazon Kindle software, with few other details besides a sub-$500 price point and an estimated arrival on the market by mid-2010. Microsoft's CEO also briefly showed off two other similar products, one from Archos (which was running a movie, hence focused on multimedia) and a larger-screen slate from Pegatron, for reading newspapers and magazines. 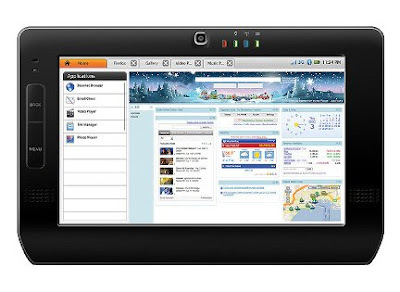 Another tablet is this sneak preview of the Dell Streak - a 5” touchscreen, Android based tablet offering. 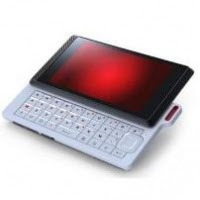 The question is whether it is a tablet and iTouch with its 800 x 480 resolution screen, Bluetooth, 3G, a 5-megapixel camera with LED flash, a microSD card slot and Wi-Fi?. This next video shows new Android based eBook reader, the enTourage eDGe at CES. The device combines a full-sized ebook reader screen with a second colour screen designed for the internet, to play movies, and much more. We apologise for the ad material on the video but think the content is worth a view. So would you buy a Kindle DX, an eInk 'lookie likie', a tablet, a mobile or wait for Apple to fire its salvo later this month? Whatever its clear that eInk is looking drabber and the devices more limited by the day. In our New Year Predictions we made reference to the opportunities and dangers that face the digital public library in the UK. We have written previously on the views expressed by the UK Minister, Margaret Hodge who wants to modernise libraries and enable them to compete with Amazon, embrace the online age and even sell books. She wants for them to be more relevant and vital in today’s digital world, to offer a service to match our 24/7 culture and grasp the wide remit of digital opportunities on offer. However, she also wants to do this within the current limited public funding constraints and resource base. Interestingly she fails to state what she would see as a measure of success other than merely increasing the numbers of users using the service or what some may say is bean counting. So why has library funding been increasingly squeezed at a time she wants to modernise it? How does she expect the existing library resources to adjust to her Brave New World, after all are librarians or information officers to now be known as booksellers? Should a public services become a commercial one with so little consultation? Are those prime real estate locations which libraries currently occupy the real asset to be sold? Why are government only now starting to extend PLR to digital and will the size of the money pot grow or remain as today? Who does she want to embrace; authors, publishers, retailers or the public? We would love to know where was Margaret Hodge was Google revised its book settlement to include the UK? 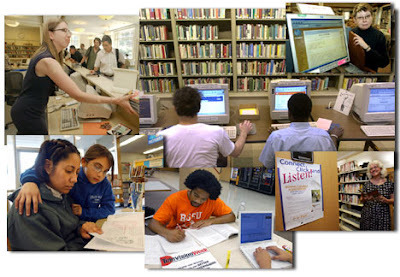 The Library is a fundamental public service which is free to access and borrow. Its model is in direct conflict with the commercial online and high street retail one of pay to buy or rent model. The implications and differences go even further back up the supply chain and there are significant implications on commercials, royalties, rights and much more. It’s a pity that Margaret Hodge clearly only sees the counter and number of visitors and fails to understand the business she is supposed to be guardian of. We would urge every publisher, author, agent, bookseller and librarian to write to her and remind her there is a general election looming this year and its perhaps time to go. In the article which was published in the New York Times today, ‘There’s More to Publishing Than Meets the Screen’,Jonathan Galassi, the President of Farrar, Straus & Giroux, expressed his views on the current Random House digital claim to rights of William Styron’s works. He argues that digital is just another edition and suggests that because Random House; copyedited the manuscript, choose the binding, picked the typeface, created the jacket image, wrote the blurb, developed marketing programme, publicised the book and managed the rights that they acquired to William Styron’s works, that this entitles them to assume the digital rights that they didn’t acquire. He recognises that the author’s heirs hold the copyright to his work but he questions whether another company can issue e-book versions of Random House’s editions without its involvement. The premise is based on the view that the ebook is a mere digital edition of the physical one and a replication of it. The point is that publishing is a rights business and as such it acquires, develops and sells the rights acquired. If it doesn’t own foreign rights or audio rights it can’t assume them. It doesn’t own those rights by default, so why should they assume that digital is any different? Why has Random House not negotiated the rights they didn’t acquire over the last couple of decades and waited for others to spot the obvious, whilst they sat on their hands? Some may call Galassi’s views arrogant and why many publishers are struggling to adjust to the digital age. Others will point to the music world and cry déjà vu. We agree that a publisher does far more than print and sell a book but we disagree that this gives them rights they neither acquired nor paid for but have merely assumed. The publisher will always make investments to added value to the work, that’s the job and how they profit from the contract. Everyone in the value chain adds value but none of them should ever assume rights they have not acquired. Finally, Galassi was right about one thing ‘some things never change’. Palm Wake Up But Has The Coffee Gone Cold? Palm Pre was launched with much fanfare and was to be the next iPhone killer with its new smart webOS platform but has failed to capture the market envisaged. Is that down to the device which although a bit small and clunky seems to work fine, or being restricted to slug it out with Apple on the O2 network, or is it down to the fact that the apps just didn’t make it? We thin the later is the reason and even though there has been a surge in applications in the US since its launch they still haven’t launched their webOS developer programme to Europe. Palm has just over 1,000 applications available in its App Catalogue, which caters to webOS-enabled devices such as the Pre and the Pixi. Finally in March this is about to change with the launch of their developer initiative to Europe – starting with the UK, Ireland, Spain and Germany. Somehow one has a picture of a cart being put in front of the horse! So the Consumer Electronics Show (CES) in Las Vegas is about to open its doors with two of the biggest players lurking outside, Google poised to announce its Nexus and everyone waiting to hear Apple announce its iSlate. Can we expect surprises at CES or will the real show be outside Vegas? A tablet a day may be the remedy sought by some and we have already seen the impressive OLPC OX3 announcement and now Freescale Semiconductor has announced a new netbook, notebook, tablet or slate type design for manufacturers wanting to build a Linux tablet running ARM's low-power chip architecture. Freescale prefers to call the new design a 'smartbook' , but whatever the name they reckon the 7” screened device could be delivered this summer for under $200 running on the Android platform. Over to CES for the next in the tablet beauty contest. Who's Brand Is It Anyway? So you think you own a brand and can control it in a global economy? Surely no one can pretend to be Pepsi, Wal-Mart, Apple, etc.? The Internet Corporation for Assigned Names and Numbers (Icann) will soon start to accept internet domain names in non-Roman scripts. The domain name is that element in web address that precedes the “dot” and often is the brand. These new internationalised domain names will not open up the internet to users whose native language does not use the Roman alphabet, but it will also open up the opportunity for many to pretend to be something they aren’t. So not only do you need to watch the obvious but you may now need to learn what the translation of your brand name is in ;Korean, Arabic, Chinese, Korean and Japanese scripts. To a non Roman-reading eye, may find an e-mail link could lead to a clone site constructed by thieves. “Phishing”, may never be easier and what may have been difficult in Roman text is about to get a lot more difficult especially given some of the new scripts are based on images. Ok we can't separate these two new eink 'lookie likies' on anything other than looks so can you spot the Owen E1 and the Dulin Boox60? Having already made seven predictions for 2010 and into the next decade, we continue and offer our final three. We have talked about bookstore chains being venerable, but some would suggest that the same logic equally applies to big publishers. We have seen huge inter-publisher consolidation over the noughties, but this will change in this next decade with the potential of new entrants buying up publishers. The diversity and range of publishers was its greatest strength and protection, but as new players enter will this remain so? Some would suggest that the likes of Amazon, Google, Apple don’t need the hassle of publishing just the control of the margin and channel, others would suggest that separating the copyright asset from the process and operation of publishing could be an interesting and profitable exercise. Isn’t publishing after all primarily a rights business? The potential for small publishers to thrive has never been greater. No longer locked out from the physical or digital channel, their agility and economics are becoming increasingly attractive and it is easy to see their numbers growing. Many may be writing their exit plans before they have published their first book! Acquisition growth will continue to be strong, but the question is at what level does size become an inhibitor? Some would suggest that authors would only want to be processed by the big house with a reputation, but these need the mega sellers to survive and that means they need to remain attractive to big authors. We have already commented that this may be changing. This next decade may prove that publisher operational size doesn’t matter in a digital age! We have written many times about the opportunity that digital provides to offer more than just the same 250 pages, print layout and even content. Today we have seen a few experiments, but little real movement to create something different. As a result, we have ebook pricing being questioned by all and digital value being diluted. How long will it take before we see the shift towards true short stories and serialised works written specifically for the digital market. Japan’s Keitai novels may appeal to a different culture, but the principle is one that could be adapted to western taste. 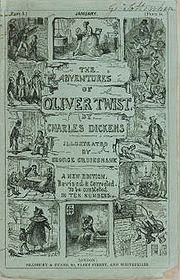 We forget too quickly the Charles Dickens approach to writing, at a time when it could be most appropriate. Many will continue to experiment with digital forms and material but we don’t see a major change until the market is more mature and predictable. The current transitional ebook forms and ‘lookie likie’ eInk devices are clearly inhibiting digital writing and maybe when we start to move online then we all will seen the huge potential to do things differently. Rights are probably the greatest challenge as we embrace the digital age. Many of the principles that supported the physical world, start to be questioned in the digital age; territorial rights, rights reversal clauses, out of print, audio rights etc. It is essential that we mere don’t end up picking those we want to retain at all costs and turn a blind eye to those that need to be properly debated and accommodated. Google, Rosetta, Blio and the Kindle audio feature, have all shown us that tomorrow is going to be very different from to today. This next decade will determine rights in the digital age. Governments have once again started to show interest, but often on a bi partisan basis and the sprit of the Berne convention appears to be struggling. The one certainty about rights in the next decade is that it will make some lawyers very rich. 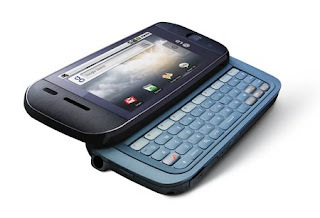 Is Google's Nexus One About to Take Off? So what are Google going to unveil next Tuesday at their big Android press gathering? Many believe that they will launch the Google Nexus One mobile phone, the first mobile handset designed by Google running Google’s Android operating system and designed in collaboration with HTC. Watch this You Tube video to see what all the fuss is about. In choosing the Jan. 5 date, Google will be ahead of the storm of technology news expected to come out of the Consumer Electronics Show in Las Vegas later in the week. The strong rumour is that the phone be sold unlocked and will therefore work on any network, allowing users to simply insert their SIM and start using the phone. Google plan to sell the phone direct to consumers which again will break with the norm in the market and could upset both the other manufacturers and carriers. The price remains a key element. If Google chooses to subsidize the cost in order to capture share then we could be in for interesting times. If the price remains high then it will be down to carriers and their adoption. Whatever the outcome Google is serious about Android and having a flagship phone under their control. One starts to wonder what Google wants to be when it grows up? Yesterday we looked at the first four predictions for publishing in 2010 and into the next decade. Today we continue and offer a further three. Again we can’t predict the next decade but we are confident of what we see in the year ahead. This year will start to redefine ownership and see the entry of the streamed ‘read on demand’ model similar to what we have been raving about with the likes of Spotify. It will take the music model to open up consumers its potential and the challenge will be the publishers and their obsession in supporting existing models that they understand and their reluctance to think outside the box on rights and royalties. Bookstores need to be included into the digital channel. It is over 3 years since we wrote the watershed white paper ‘Brave New World’ and yet publishers still want to bypass digitally retail and retail are is still not being enabled at the speed needed. Without this movement we are liable to see increasing friction and channel wars. Some will write off the physical channel but for many this will continue to dominate sales and be important. If we want to avoid the commoditisation of books like music we need to engage booksellers and Libraries and enable not disable them. This year will offer a significant opportunity and risk. The Mobile technology will free the ereader from its tethered PC. ebook readers as we know them are highly unlikely survive past 2012 and the download model is highly suspect in a world where unlike games, music and films, a book is often only read once. Price will continue to be a major issue. In a price war there is only one winner – the consumer. There is a need to separate digital from physical pricing and until some sanity is achieved the market will be unstable. Big name authors are already starting to realise the opportunities that digital offers. Some say that they must have a publisher in order to achieve reach and promotion, others realise that maybe this model is not as strong as it was in the physical world. On one hand publishers will demand comprehensive rights on the other authors will want to hold back and retain digital rights or separate them. Some will say it is impossible to work under a split model others will simple act and say nothing is impossible. Meanwhile others will slowly pick up digital publishing as the print on demand services picked up the long tail in the noughties. The aspiring authors will increasingly look to digital and see potential that even print on demand didn’t offer. The Scribd, Amazon and Wattpad services will grow and we still have others such as Google to enter the market. Back list and out of print has only one way to go – digital. The question is who will take them there; authors, agents, publishers, retailers or the consumer? Amazon is no longer a bookseller. It is becoming a publisher, channel and bookseller and has learnt from history and other sectors. It is hard to see others offering the same empathy with the two people who count in the book market – authors and consumers. This position will strengthen in this next decade and will be little understood by those craving the status quo. Independents have great opportunities but must learn that sale or return and merchandising their shelves with front list is not the answer. Bookselling is about selection, promotion, knowing customers and this can apply equally to physical and digital. Independents must specialise to survive.